Action 2 (b) of the Buildsafe-NI Action Plan 2011 already means that Government Construction Clients require main contractors’ first-tier subcontractors, with 10 or more employees, to have a Health and Safety Management System certified by a third party. From the start of 2013, this requirement will be extended. 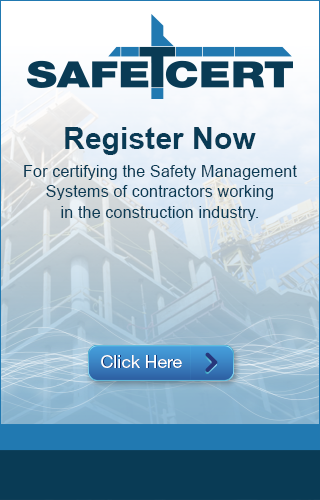 Main contractors will be required to ensure that all their first-tier subcontractors with 5 or more employees have a Health and Safety Management System certified by a third party. Main contractors should remind their first-tier subcontractors about this requirement. Subcontractors interested in working on government construction contracts in Northern Ireland, as first-tier subcontractors, should take steps to ensure that they get certified with Safe-T-Cert or another scheme that satisfies the requirements of the Buildsafe-NI initiative and is certified by one of the 3rd parties listed on CPD’s Website.